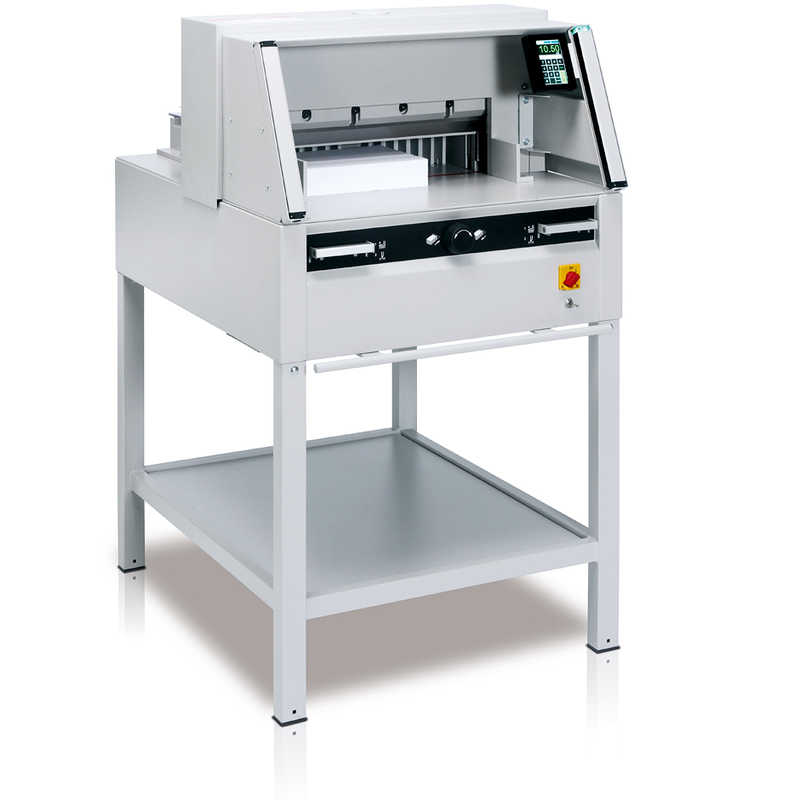 The IDEAL 4315 is the entry level bench top electric guillotine to handle formats up to A3. 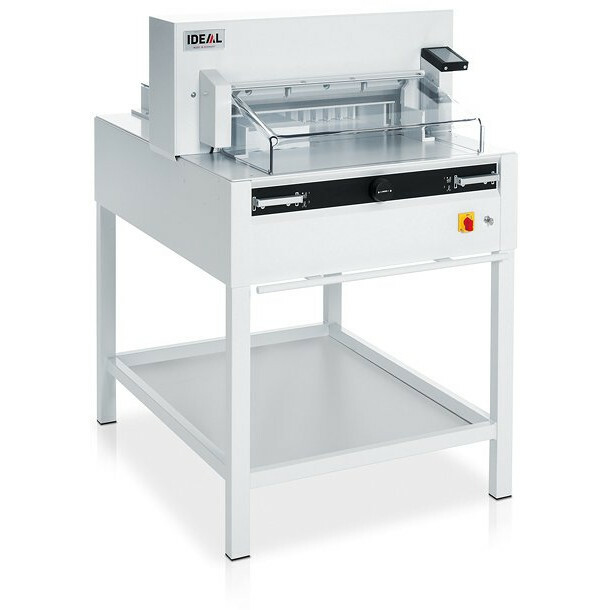 The IDEAL 4315 is the entry level bench top electric guillotine to handle formats up to A3. 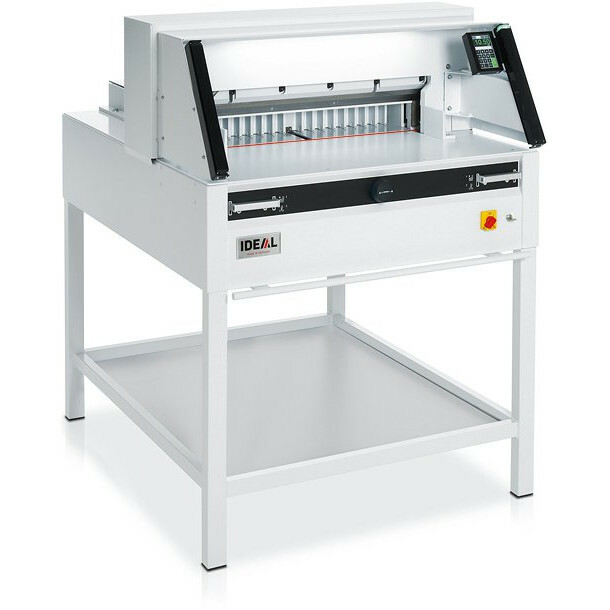 It includes the full IDEAL Safety Cutting System feature package which covers transparent hoods over front and rear tables, two-hand operation, and automatic blade return. 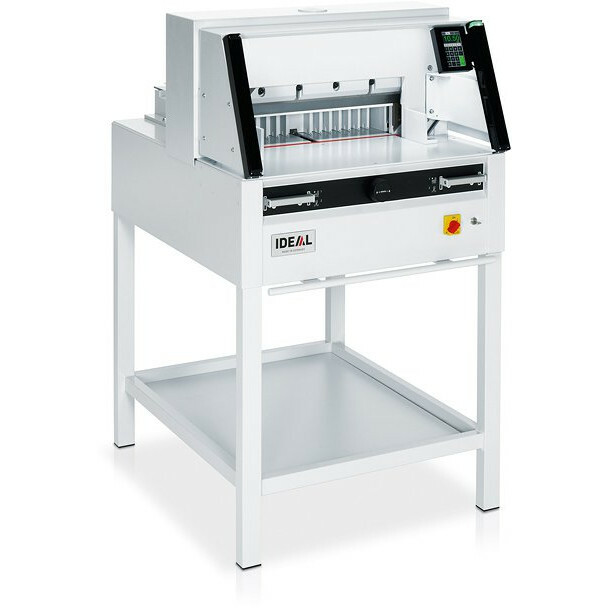 The IDEAL 4315 has a maximum cut depth of 40mm for 500 sheets of paper, a fast action flick position clamp and hand operated back gauge with digital read out. 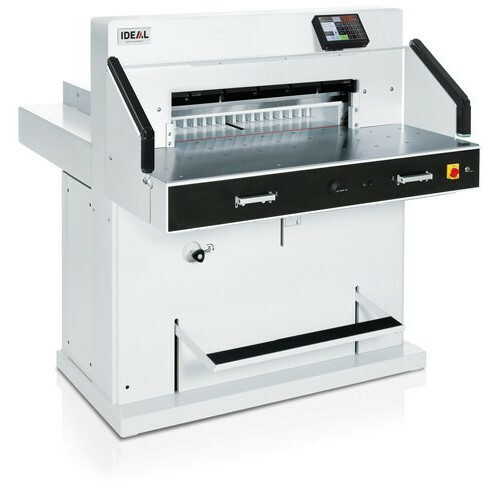 Business Benefits: Electric powered guillotine takes the strain out of cutting paper for low volume users, yet host of features including digital readout of back gauge positioning deliver accurate cutting performance. 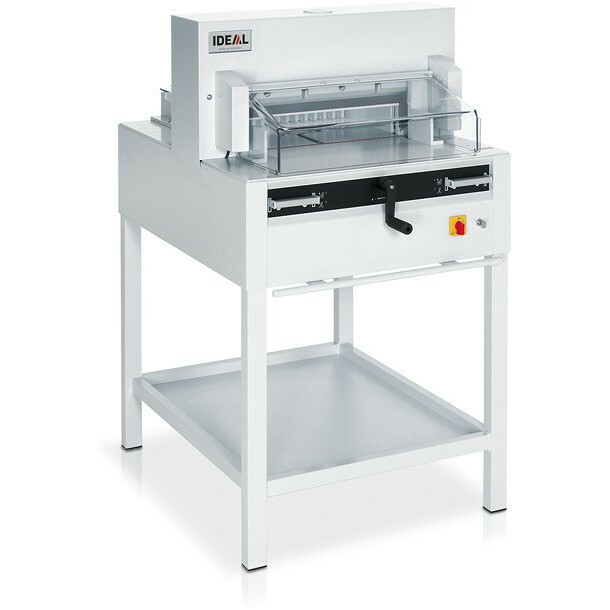 All metal construction with hardened steel blade guides delivers reliable performance. 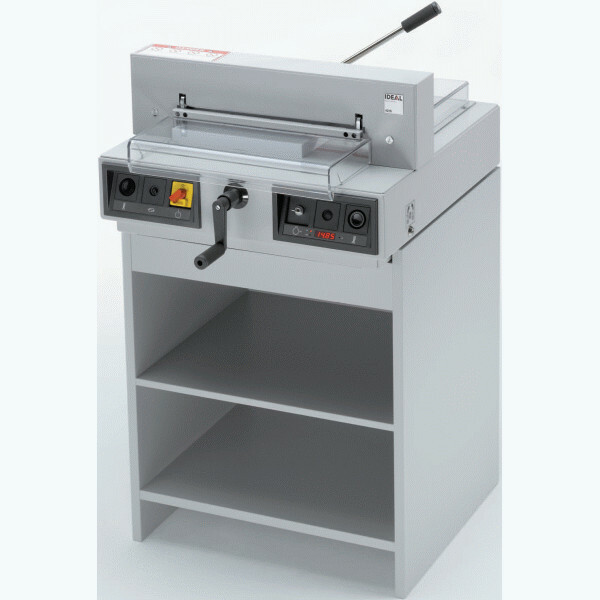 Safety features designed to make accidents impossible. 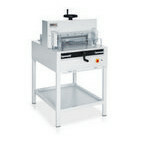 Transparent safety hoods guarantee safe operation with no loss of control over the cutting task. 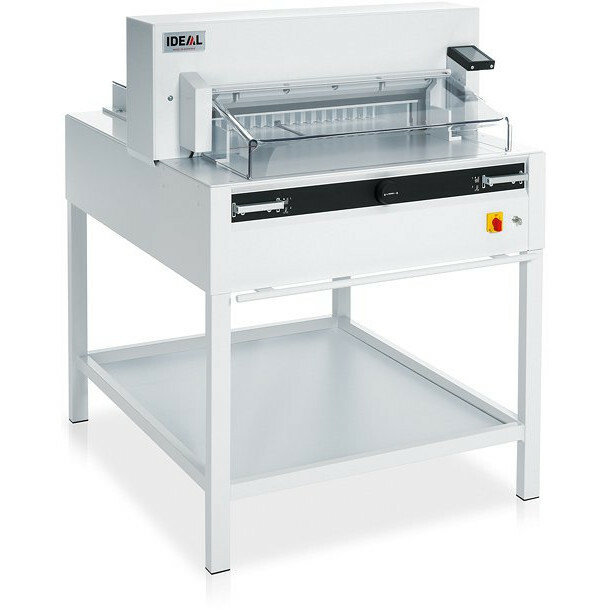 Flick action clamp helps ease of operation while digital read out on back gauge means accurate positioning of the stack for cutting. 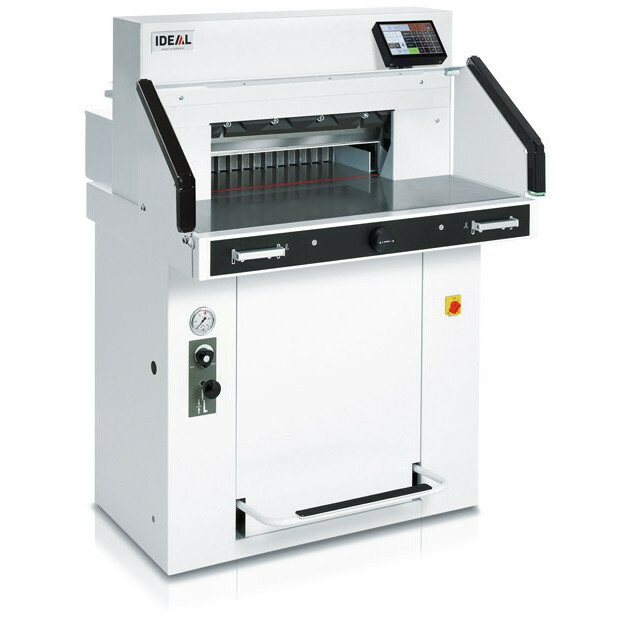 Illuminated cutting line provides further reassurance that positioning is accurate. 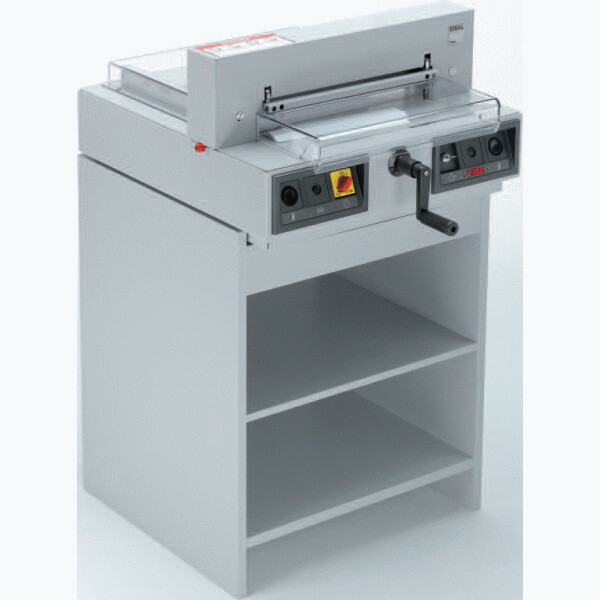 Cutting stick removal from the side is safe and simple, while blade changeover is also a fail-safe operation.